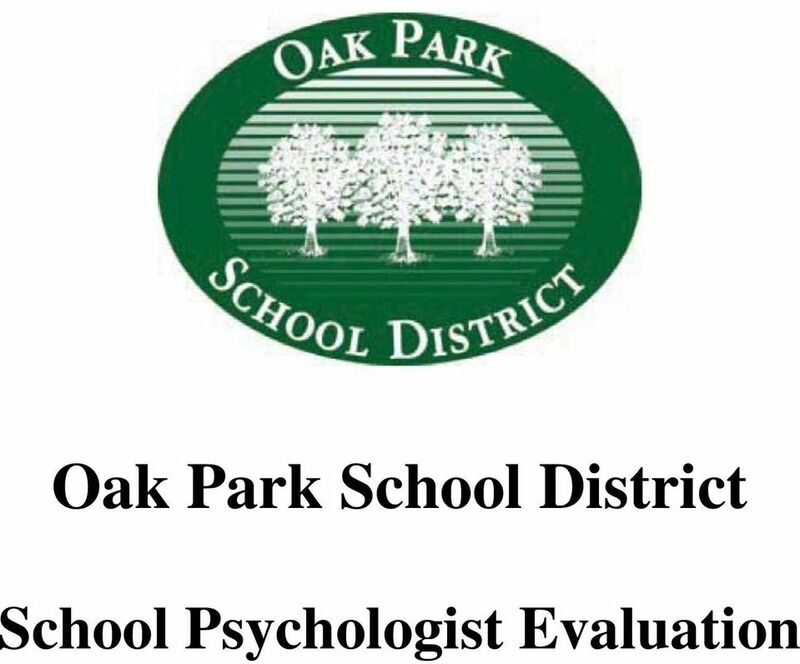 Download "Oak Park School District. 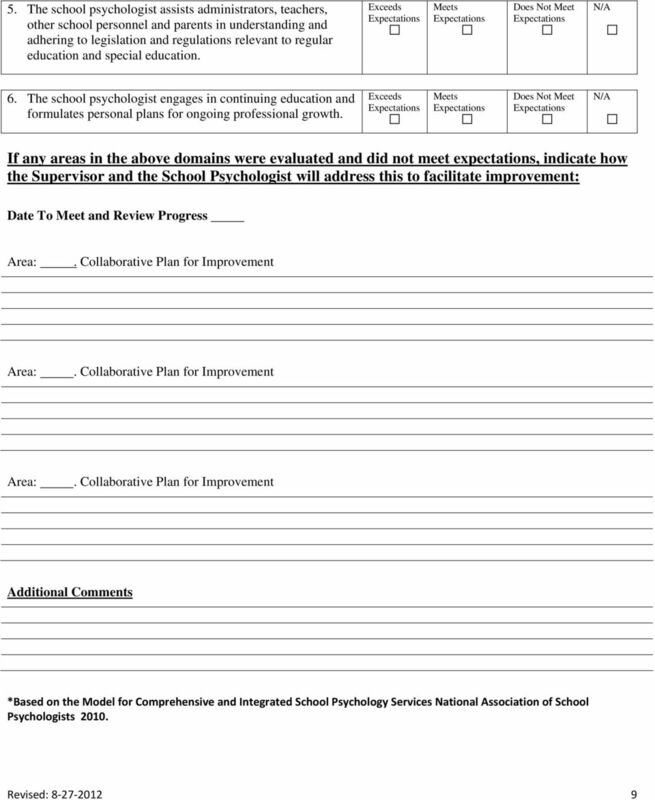 School Psychologist Evaluation"
Objective 2.4.: Students will demonstrate knowledge of, and the ability to practice, behavioral consultation with teachers and parents. 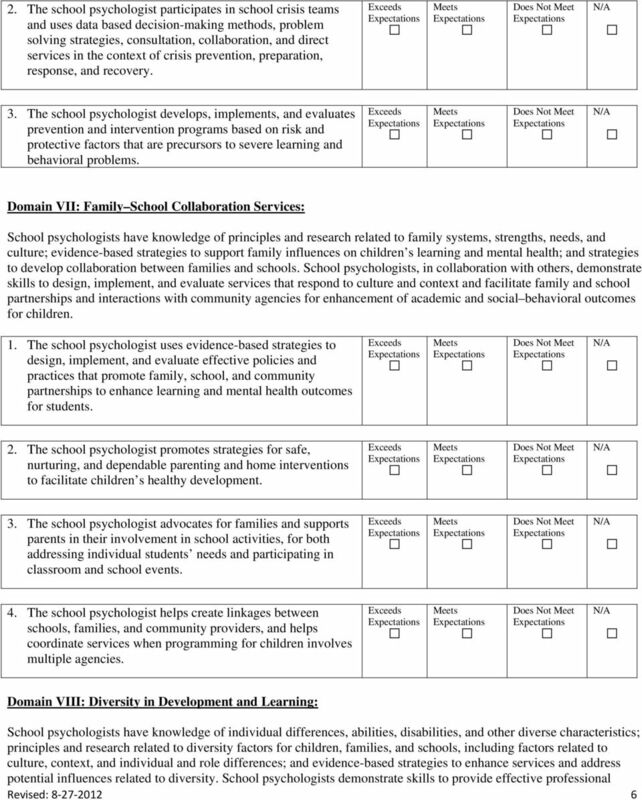 Millersville University School Psychology Student Portfolio. This is most current information. 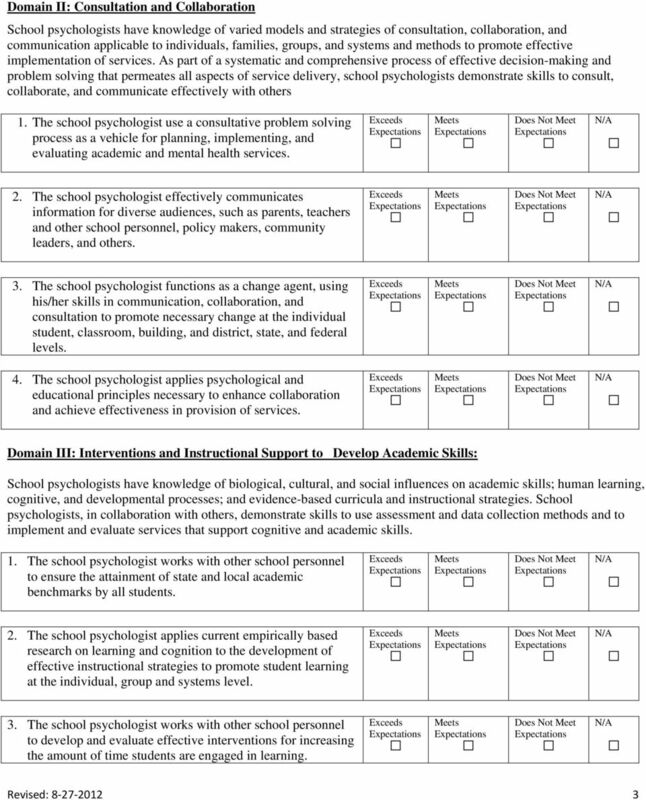 Please check with faculty for updates. 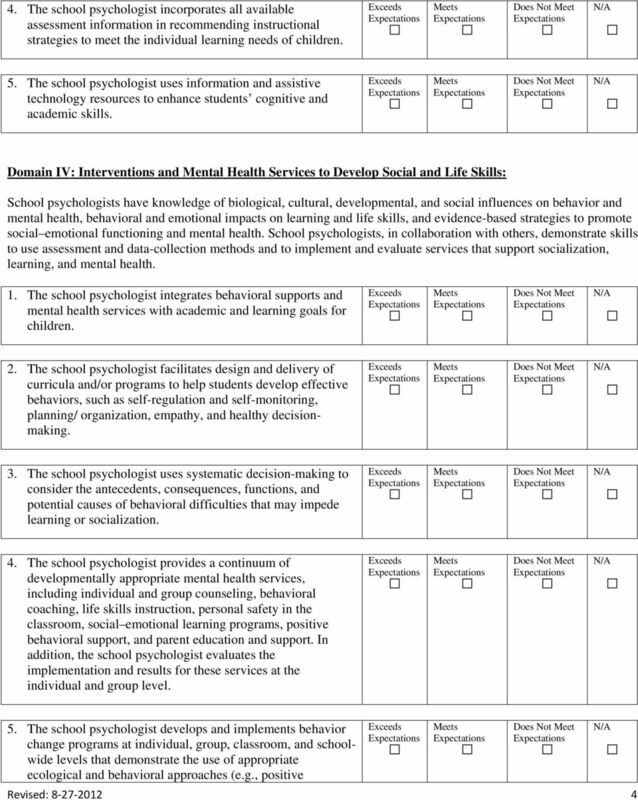 COUNSELOR JOB DESCRIPTION AND EVALUATION FORM The counselor evaluation form may be used by the counselor as a self-audit. 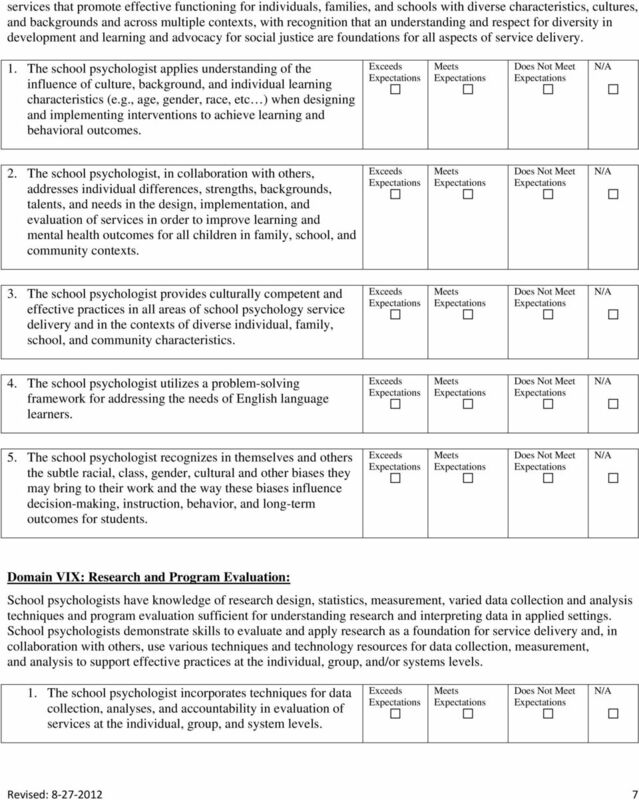 It may also be used by supervisors to annually evaluate the counselor's performance. 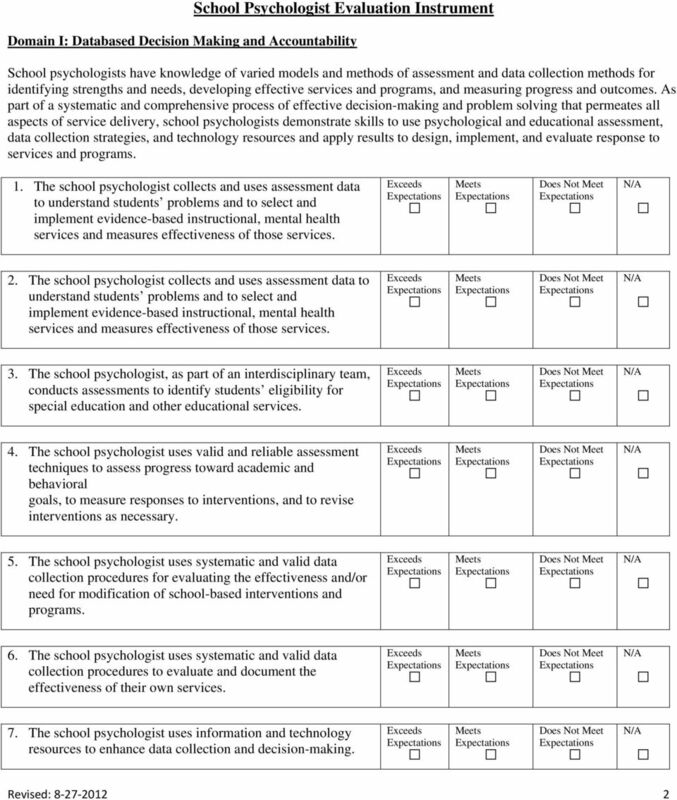 School Psychologist. Can Help! 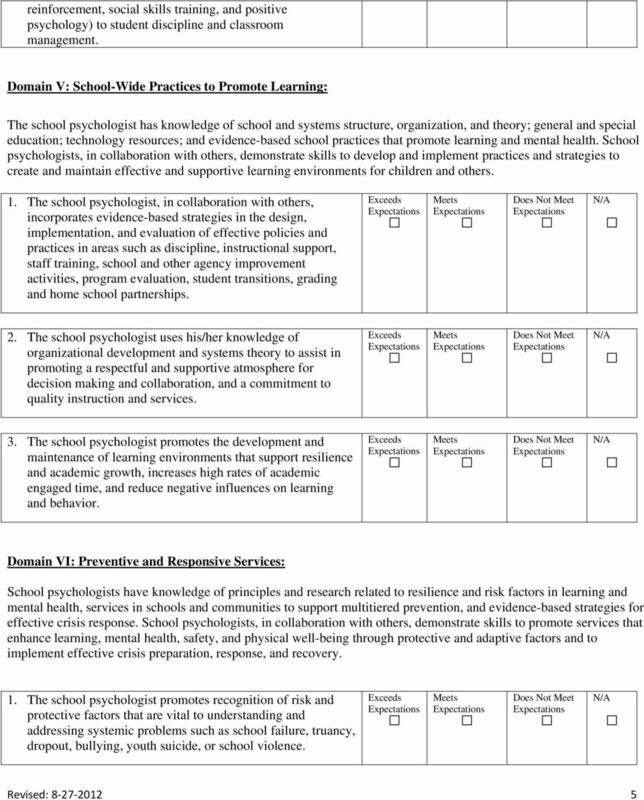 School Psychology Training 9/2/15. 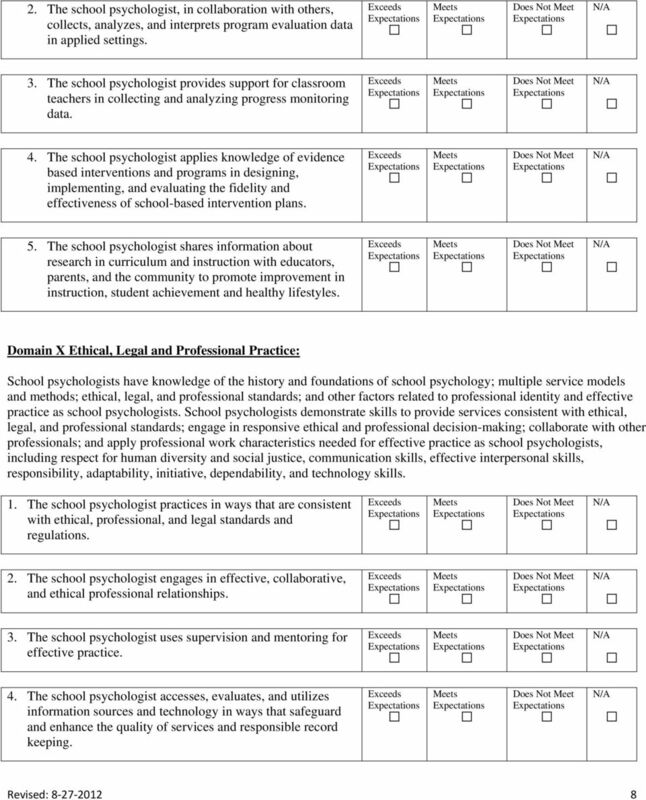 What is a School Psychologist?